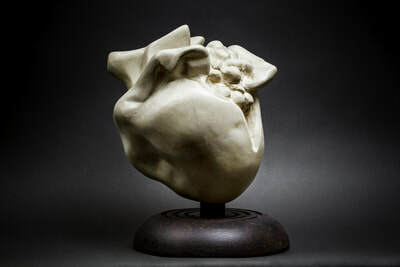 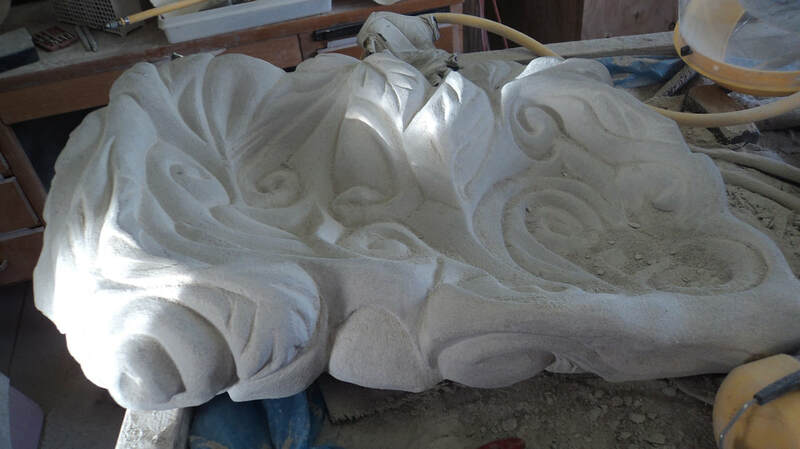 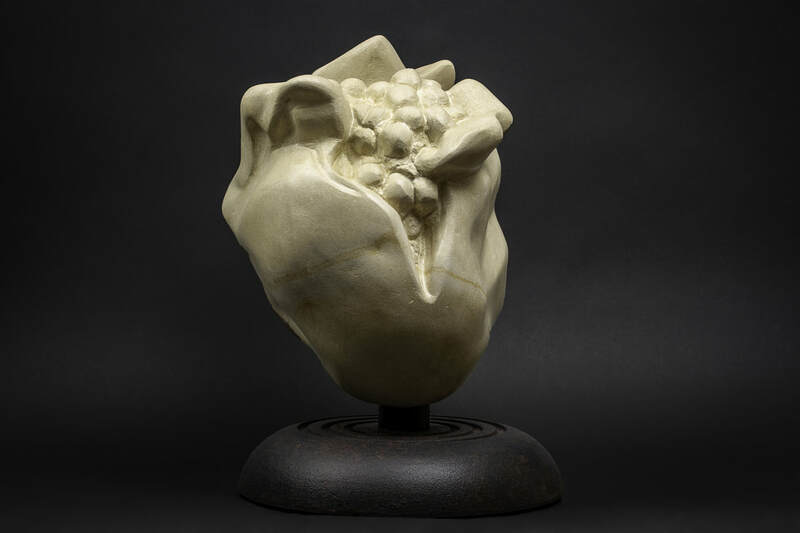 Welcome to my online portfolio of stone carvings, please browse and feel free to ask any questions or comments by sending me an email. Touchable Object #1 Vermont Marble approx. 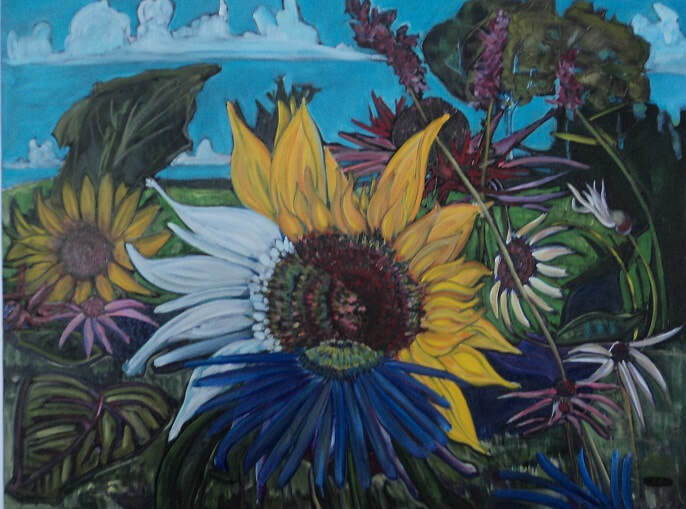 40"x4"x8" $3000. 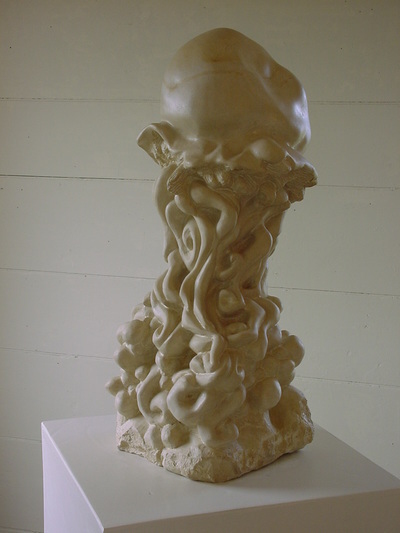 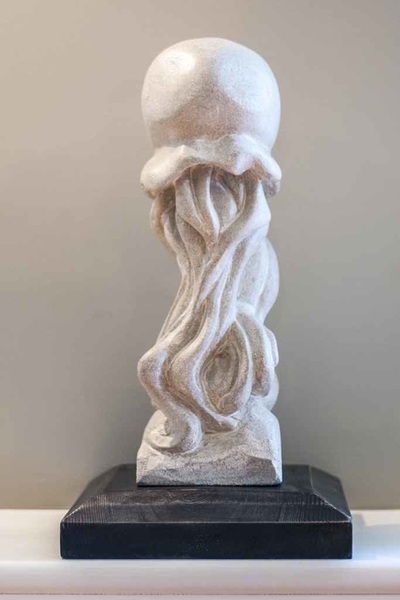 Jellyfish #5 Indiana Limestone on wood 12"x4"x4" $875. Head of a Strange Bird Blue Marble 15"x24"x9" $1700. 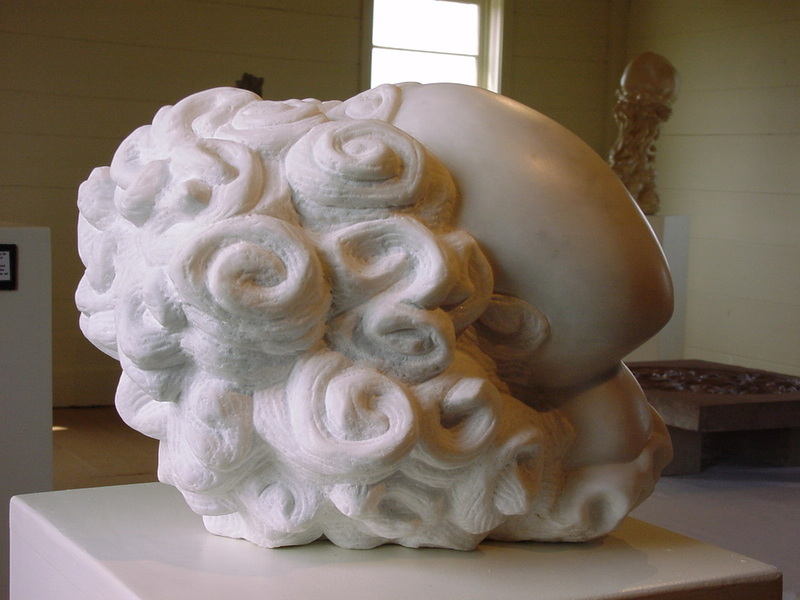 White Marble Hairdo Vermont Marble approx. 14"x10"x10" $1500. 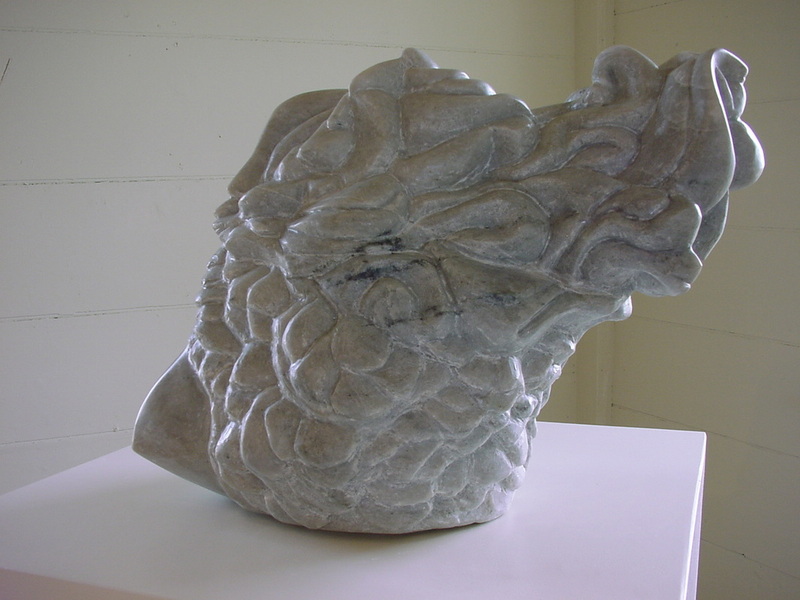 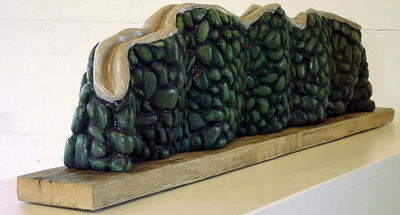 The Crevasse Painted Indiana Limestone 35"x4"x7" $975. 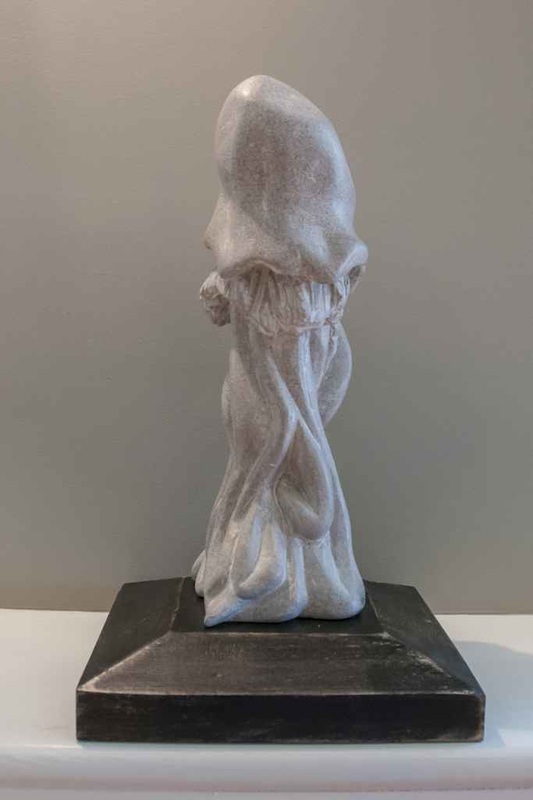 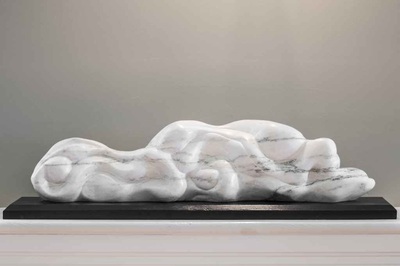 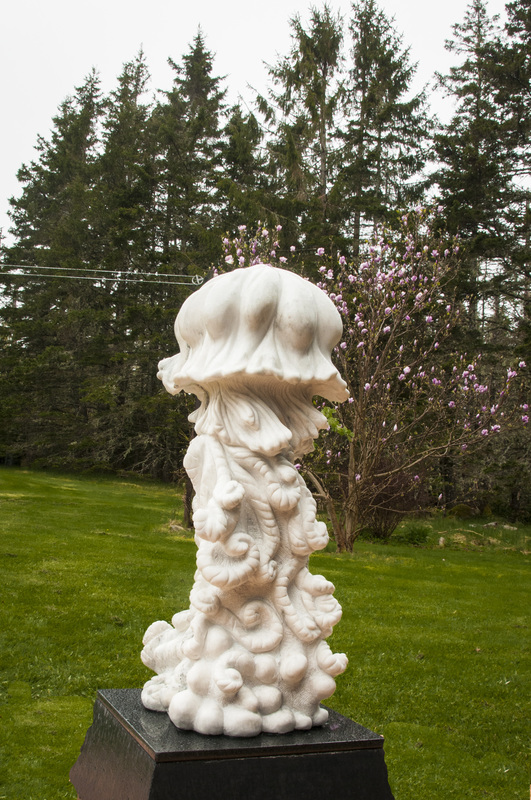 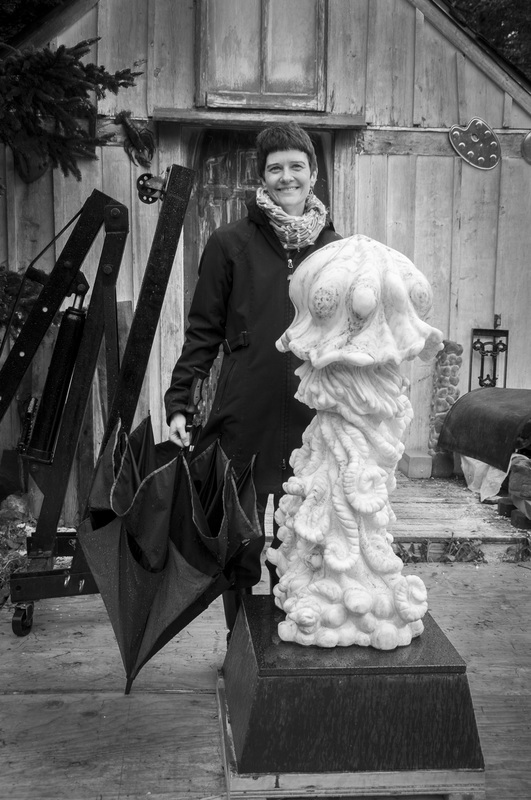 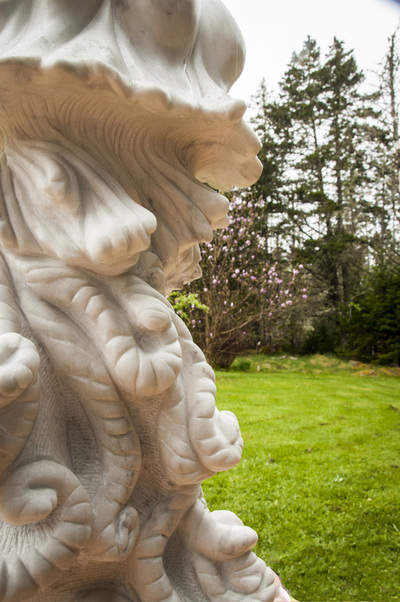 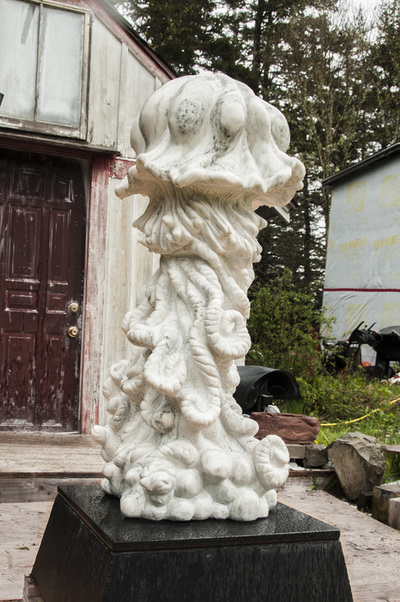 Blooming Jellyfish Vermont Marble, Black Granite, 56"x20"x20"